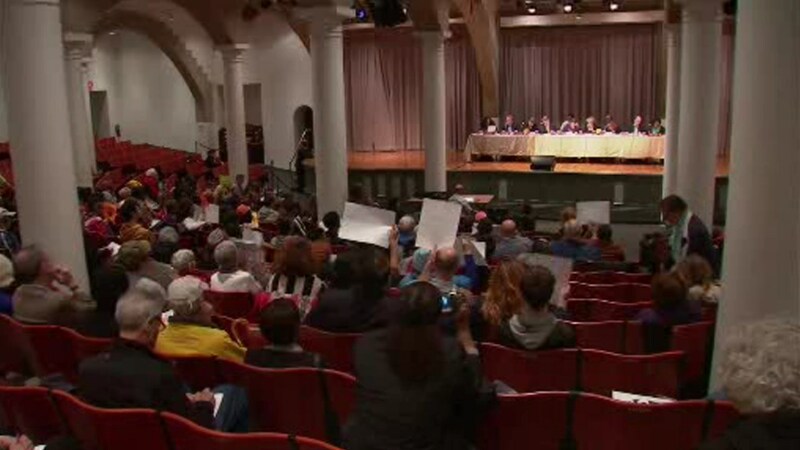 EAST VILLAGE, Manhattan (WABC) -- The New York City Rent Guidelines Board recommended increases for rent-stabilized apartments in a preliminary vote on Tuesday night. At a meeting in the East Village, the five of the board's nine members voted to recommend a 1 to 3 percent increase on 1-year leases, and a 2 to 4 percent increase on 2-year leases. Tuesday's vote comes after there were rent freezes over the last two years. Angry tenants who attended the meeting called for a rent rollback for the approximately one million rent stabilized apartments in New York City. The board will hold it's final vote in June after five more public hearings are held. If the rent proposal passes the final vote, the increases will effect leases signed between October 1st, 2017 and September 30th, 2018.